Email systems, based on the Simple Mail Transfer Protocol, were never designed for message security. Much like the Internet was designed to be open and accessible, emails were designed to be simple and readable by any recipient. The result of this is that all emails you send are readable by anyone who is able to intercept those communications online, be it a hacker or a malicious system administrator of network services or an ISP. Using NanoSecureMail, our secure messaging system, you can stop worrying about sending sensitive information over the Internet, whether that’s medical information, client financial data, intellectual property, or a simple desire to keep email contents between the sender and intended recipient. NanoSecureMail provides a secure holding repository, accessible through a website, where recipients of sensitive messages can login and access those messages securely. Recipients manage their own passwords to prevent tampering by 3rd parties, and messages automatically expire from the repository after a short time to prevent disclosure by hackers. If your company handles EMR data (Electronic Medical Records) or client financials, you probably already know that this information cannot simply be sent in an email, it must be secured from disclosure, eavesdropping and tampering. NanoSecureMail meets these requirements effortlessly. 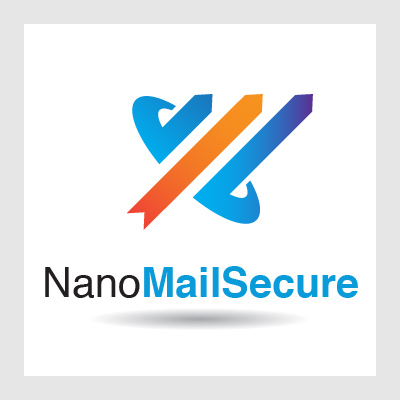 NanoSecureMail can be configured to securely deliver all emails, or only a subset using flexible rules. Sending a secure message is as easy as composing a new email and hitting Send! Contact us for more information or to request a quote.